This all floor cleaner has a no-wax formula, is non-toxic and biodegradable, making floor cleaning a joy for you and your environment. The sleek nozzle design means that fewer sprays are needed, allowing you to sweep up in double-quick time. Non-toxic and biodegradable cleaners mean that no hazardous residues will stay behind when you clean your floor, making it safe for pets, people and the planet. Leaves a delightful gentle scent behind. This product comes in a fully 100% recycled bottle and remember all Method bottles are recyclable, so please don't send them to the landfills, recycle after use! Free from parabens, phthalates, animal by-products or triclosan, and Method do not test on animals. 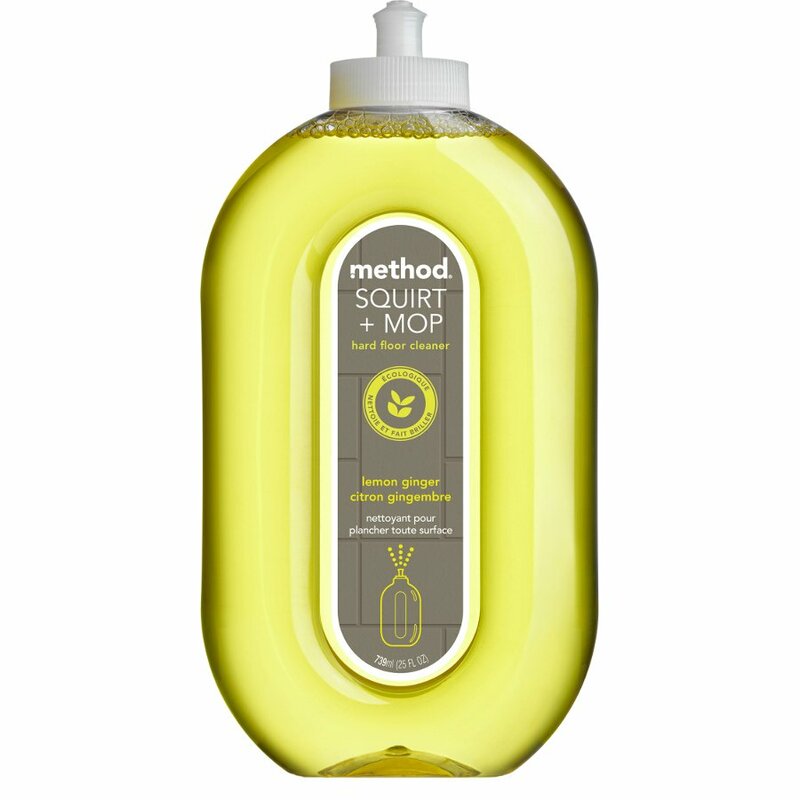 The Method Squirt & Mop All Floor Cleaner - 739ml product ethics are indicated below. To learn more about these product ethics and to see related products, follow the links below. Am using on all floors everyday and my kitchen flooring is coming up really shiny so happy with it and lovely fresh smell. This cleaner removed Gallium oxide off my carpet. Its amazing. Q: Does it need rinsing off afterwards?